Here we snow again! 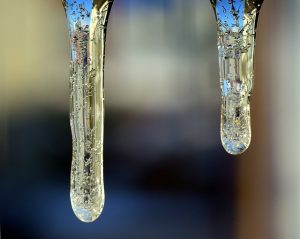 Due to the winter storm, the Tuesday 6:00pm Hatha and 7:30pm Shamanic Flow series classes in Schroon Lake are cancelled this evening, February 12th. We are also cancelling the Wednesday 9:30 Gentle Hatha class in Schroon Lake tomorrow, February 13th. We plan to be open in Keene Valley for the Wednesday evening Community HEARTH and Healing Circle, provided the roads are clear. We will post an update tomorrow. 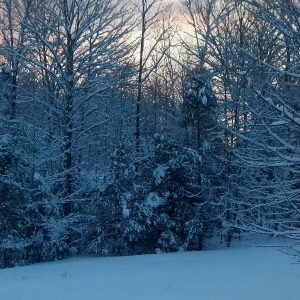 Due to the continuing snow, the Tuesday 6:00pm Hatha class and 7:30pm Shamanic Flow series class in Schroon Lake are canceled today, January 29th. We plan to be open Wednesday following the regular schedule, unless the storm continues longer than expected. 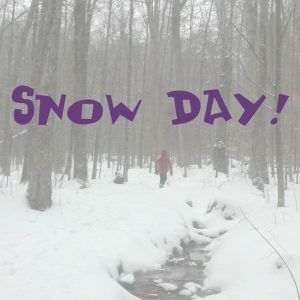 If Schroon Lake Central School is closed on Wednesday, we will follow by canceling the morning class and we will update our announcements at that time. Stay warm, stay safe, and stay peaceful! Here we are, at the beginning of December, and we’ve already had some winter weather cancellations, but we also have some perfect holiday snow. We are blessed that our beloved Adirondack home offers so many opportunities to enjoy the blanket of white. The ski areas are open, folks are out breaking trail for cross-country skiing and snow shoeing, and the sledding hills are ready for sliding. Of course, the weather sends us indoors sometimes and returning to an activity after three seasons can be physically challenging. We’ve got you covered with yoga classes and workshops whether you need to warm up or rest. Check out the upcoming Sun Salutation workshop with Jen V. to build core strength and heat! The approaching Winter Solstice also invites a turning inward, ushering a time of contemplation and introspection. Our inner adventure centers are open with offerings such as mindfulness meditation, restorative yoga, and Yoga Trance Dance to support your internal exploration. 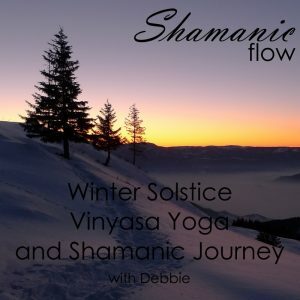 At the Solstice, join Debbie for a special vinyasa flow and shamanic journey to usher in the new season. Spending the holiday week in the Adirondacks? Both studios will be closed Monday, December 24th for Christmas Eve and Tuesday, December 25th, Christmas Day. We will be open on Wednesday following our regular class schedule. Visit our class schedule page for ongoing weekly classes, and scroll down our home page for all of the upcoming workshops and community events happening this month at True North Yoga. Due to the continuing snow and poor driving conditions, Tuesday’s 9:00am Keep Strong class in Keene Valley is cancelled today, November 27th. As of now, we expect to be open for classes in Schroon Lake this evening. We will send an update if that changes. Due to the incoming winter storm, we are postponing the start of Debbie’s Shamanic Flow series in Keene Valley. The three week series will begin next Monday, December 3rd and conclude on December 17th. We will make an announcement about Tuesday classes in the morning. As always, if Keene Valley Central School closes (or has a delay in the case of morning classes) the studio will be closed. 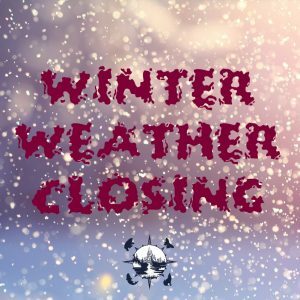 The Schroon Lake and Keene Valley yoga studios are closed Friday, November 16th. The significant snowfall closed both Schroon Lake Central and Keene Central School Districts, and it is our policy to follow their lead. Besides, there’s a big pile of snow out there to shovel! We plan to be open for our regular weekend schedule including the Chakra Groove workshop in Keene Valley on Saturday. What is gratitude? The dictionary defines gratitude as the quality of being thankful, or a readiness to show appreciation for and to return kindness. Our True North Yoga teachers recognize the kindness and support you show us when you come take yoga classes with us, attend workshops or community events, and when you tell other people about our studios and invite your family and friends to join you. We know how yoga and other holistic practices contribute to our wellbeing and we want everyone to experience the benefits. You are helping us carry out our mission and live our dreams. Thank you. We are grateful for you. To return the kindness, Debbie is offering you a break from holiday preparations. 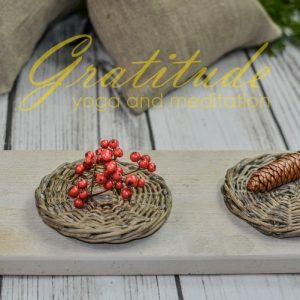 Join her in Keene Valley on Wednesday, November 21st at 6:00pm or in Schroon Lake on Thanksgiving Day, November 22nd at 8:00am for a complementary, gratitude-focused yoga and meditation practice. You’ll find more details in the events listing on our home page.